“Teens Heeding Righteous Instruction Very Enthusiastically”. Psalm 1 is our guide for our teenagers. We want our teenagers to “Prosper” according to the Bible. Money and fame are not prosperity. God says that staying in constant contact with Him, through prayer and Bible reading will lead to a life of true prosperity. Do you want to prosper? We would love to have you join us! In the day in age in which we live, deceit is rampant and the truth is a rarity. At Calvary Baptist Church, we THRIVE on the Word of God and depend on it to break through the lies that Satan has been telling to teenagers. It is our desire to give them the truth according to the Word of God. Jesus is the Answer, and we are not ashamed to tell that to everyone. Some people think that Christians cannot have fun. We beg to differ! The fact is, those that have the right relationship with Jesus Christ have more fun than anyone else! 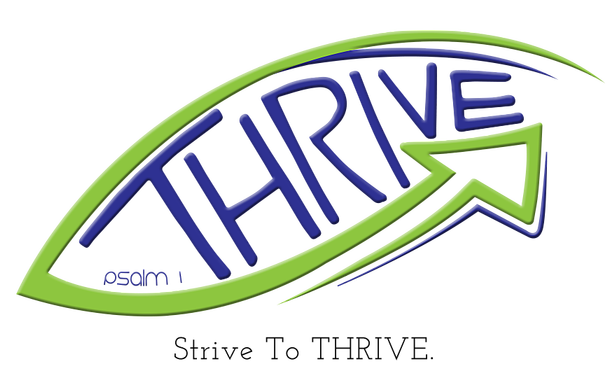 There are always a variety of fun-filled, Christ-centered youth activities taking place right here at CBC THRIVE. Jesus came that we might have life, and that we might have it more abundantly. The teens of CBC THRIVE are thrilled to share with others how they can also have a wonderful life through Jesus Christ.